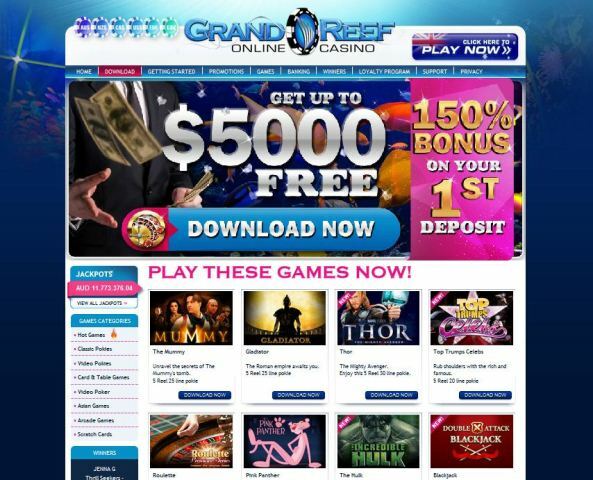 Grand Reef Casino has been around since 2010, so they have acquired a good few years’ worth of experience of offering top quality casino games to players. This casino is a Playtech powered domain, and one which thrives in the seldom-used but still existing downloadable casino platform. Of course, players can always opt to play in the instant play domain if they wish. 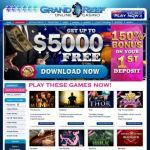 Licensed out of Curacao, this casino domain is GLI (Gaming Laboratories International) certified, and offers gameplay in English. 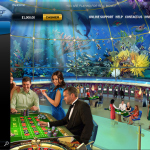 Players can use a selection of different currencies at this casino. British pounds sterling, US dollars, Australian dollars, and more are all accepted, as are the ECO, MasterCard, Neteller, Paysafecard, Skrill, and VISA payment methods to name just a few. Support is available for players via toll-free telephone across many countries, live chat, or e-mail. 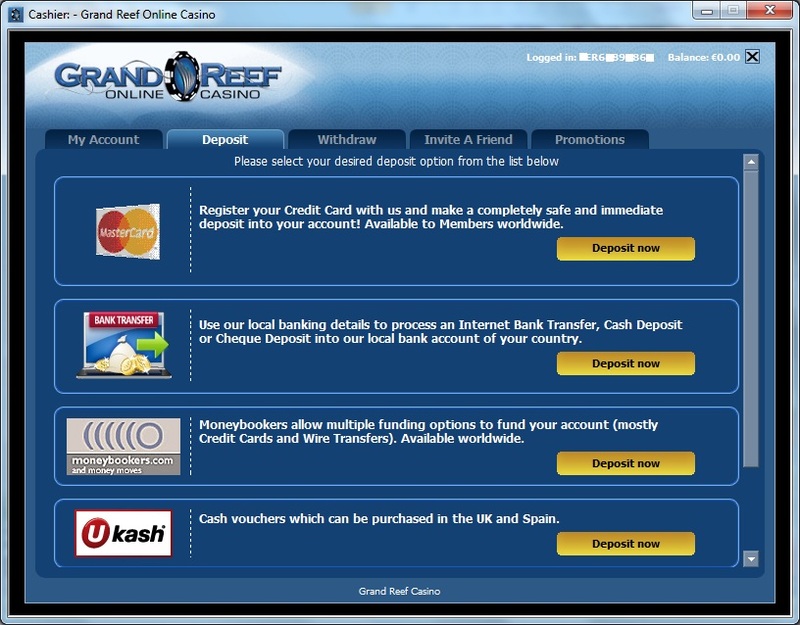 Depositing players can claim a 150% match deposit bonus on the very first deposit they make at Grand Reef’s online casino, up to a total of £750 in all. A second deposit bonus is then afforded to players making another deposit, and comes in at a larger 175% match worth up to £875. When a third deposit is made, players can claim a 200% match worth up to £1,000, whilst a fourth deposit is worth a 225% match up to £1,125. The welcome bonus deal culminates in a whopping fifth deposit bonus. On that deposit, players can claim a 250% match worth up to £1,250 in all. A selection of current promotions changes frequently at Grand Reef Casino. Pop along to their promotions page to keep yourself informed about all the casino’s latest deals, treats, promos, bonuses and offers. 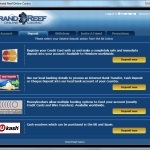 Grand Reef Casino is powered by Playtech. Because of that, you are unlikely to find games from any other developer, save from Playtech. Fortunately, Playtech has a vast selection of titles for you to play, spanning many titles. These include table games such as baccarat and blackjack, roulette and poker, as well as video poker games, arcade games, craps, sic bo and even oddities such as scratch cards. 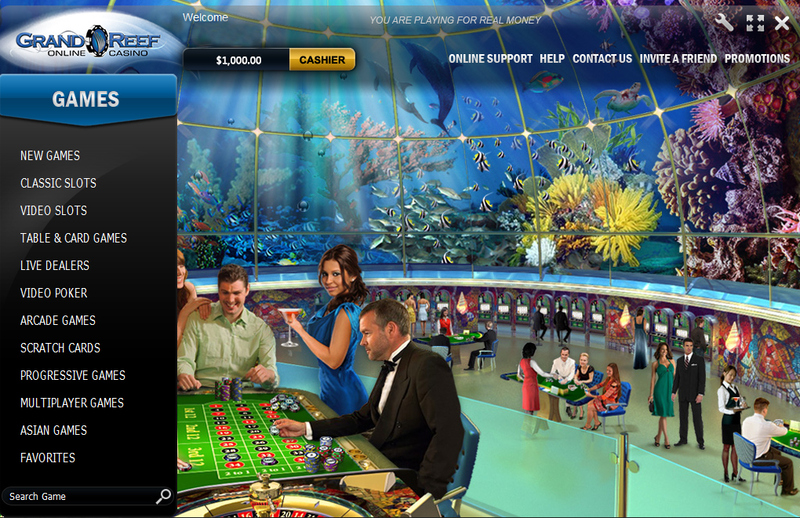 If you love a wide variety of casino games, Grand Reef Casino may be able to hook you up in that department. Players who love slots are also in luck, with the casino offering players some tops slots such as Playtech’s new Batman series, the Age of Gods series, Top Gun, and major progressives, such as Gladiator. The following countries are restricted at this casino: Netherlands Antilles, American Samoa, Belgium, Bulgaria, Cyprus, Estonia, Spain, France, French Republic, Guam, Israel, Italy, Northern Mariana Islands, Philippines, Puerto Rico, United States, United States Virgin Islands, South Africa.